On your wedding day you and your partner want to feel like royalty and deserve a touch of luxury. Styling an extravagant wedding does not have to be a difficult task. A few key styling changes is all it takes to transform your wedding reception into an opulent dream. Here's how to get the look. What better way to style an opulent wedding reception than by incorporating luxe colours. Gold, rose gold and silver as well as jewel tones such as emerald, purple and fuchsia are the perfect way to achieve this. Incorporate these colours into your table settings and floral arrangements to give your reception a lavish feel. The importance of lighting in a wedding venue is often overlooked. Feature lighting can really make the most of a space, enhancing the grandeur of other styling features. Whether it is the inclusion of candles to create an elegant, vintage feel, or an opulent chandelier that draws the focus of the guests, the lighting in a room can change its entire vibe. For outdoor weddings, creating an overhead display of fairy lights makes for fairytale magic. Big, bold centrepieces are the epitome of a luxurious wedding. A stunning table centrepiece, either at the bridal table, or on each reception table, will be the focal point of your styling. The rest of your table settings and decoration can help compliment and accentuate this centrepiece. Kim Kardashian and Kanye West really got this trend going with the inclusion of an extravagant flower wall at their 2014 wedding. Channel your inner Kardashian by including one at your wedding reception. A flower wall serves as a stunning centre piece as well as a great backdrop for photos throughout the night. For some opulent flower wall inspo, check out some of our favourite flower walls here. When it comes to luxury, it can be easy to overdo it. Consider a less is more approach and investing in some statement pieces to give your styling an opulent wow factor. Statement tableware or an ornate dining table will make your styling stand out without the need for overcrowding. Styling your reception to perfection only takes a few key pieces. One of the easiest ways to give your wedding styling an opulent feel is by going back to traditional styling. Charger plates are one of these styling features that have made a comeback in recent years. They enhance a table's styling significantly and can be used as the focal point of a table's styling or to compliment the centrepiece. For a truely opulent style, not part of your reception venue should be left untouched. If you already have a grand venue in mind, like a ballroom or art gallery, using the roof to hang decorations adds an extra wow factor. Statement lighting, hanging floral arrangements or a combination of the two will maximise the magnificence of your venue. 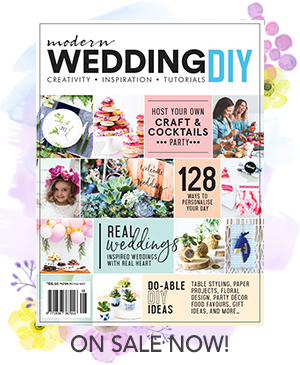 For some wedding suppliers that can help you on your styling journey, click here!